We bring forth vast industrial experience and expertise in this business, involved in offering high quality range of Solid Brick. Exposed Rat Trap Brick, Size: 9 In. X 4 In. X 3 In. Unique Side Walls Red Construction Bricks, Size (Inches): 3-5/8" x 2-3/4" x 7-5/8"
Size (Inches): 3-5/8" x 2-3/4" x 7-5/8"
Malur Red Wire cut Bricks, Size: 9 In. X 4 In. X 3 In. 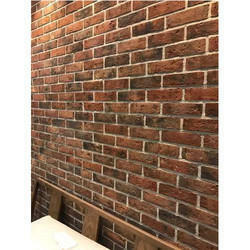 We have gained a remarkable position in the market that is involved in offering Red Brick. We undertake construction of Eco friendly Houses at Turnkey Basis.